A day before Arsene Wenger led his side to a redemption of sorts at Wembley Stadium, he was nursing the pains of a difficult season. Arsenal, for the first time under his leadership, did not make it to the Champions League. There was no St Totteringham’s Day either. Never before had Tottenham been so superior to Arsenal in the Wenger era. The manager lost his precious gifts. The things Wenger always had to say for himself were no longer there to be said. Records break and you make your peace with them. But it’s the hurtful words that stay with you. At least that is what happened in Wenger’s case. Numerous times this season he offered a pained expression. A man who was worried that his time might be up. A man who may have to vacate a home which he has decorated carefully for two decades now. But a late rally may have secured Wenger’s job. Speculation has been rife in recent weeks that there is a two-year deal on the table for the Frenchman. Despite a significant section of fans demanding his ouster, it is likely that Wenger will stay. This is a question which has shadowed Arsenal’s season all along, with the bitter exchanges growing as the side slumped in 2017. Wenger himself acknowledged that the uncertainty over his future may have affected the squad. Arsenal, however, have been there before. In the past few seasons, the clamour for manager’s resignation has been steadily growing. The back-to-back FA Cup wins, in 2014 and 2015, stalled the momentum of Wenger’s opposition but it is unlikely that the latest triumph will have a similar effect. For Arsenal did slide this season in the league. Even stagnation could no longer be claimed as a prize. It seems remarkable that this was also the campaign where Arsenal was on a 20-game unbeaten streak (in all competitions) until the away loss to Manchester City in December. But the fall in the spring was incredible. In eight league games from the beginning of February, Arsenal won only two and drew just once. The death knell was sounded. Then, of course, the transformation happened. The change which allowed Wenger to call his harshest critics out. For the first time at Arsenal, he set up a three-man defence. 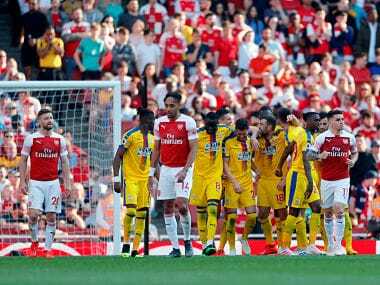 The Gunners went on to win nine of their next 10 matches, including the impressive display in the FA Cup final on Saturday evening. Energised by the manager’s strategic manoeuvre, the players spoke out in his defence too. Alex Oxlade-Chamberlain was among the major beneficiaries, excelling as a wing-back in the new formation. “Over the years, we have always played in a certain formation and I think teams got better at learning how to deal with us. 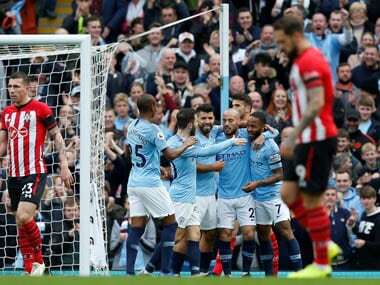 When we changed the formation, that gave them something new to think about and the results have started coming,” he said. 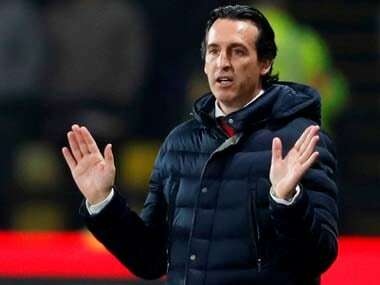 The shift to three at the back was forced by Arsenal’s defensive problems; at one stage in the league, the Gunners conceded thrice in each of their four consecutive away games while their two Champions League meetings with Bayern Munich brought 10 goals in the against column. It is a problem which has troubled Wenger the most in the past decade. 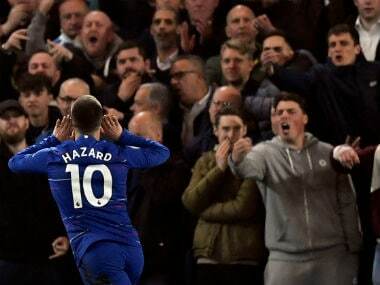 Even against Chelsea on Saturday, Arsenal conceded a cheap equaliser even though it was in the ascendancy — a goal up and the opposition down to ten men. But the three-man defence has certainly made it tougher to break the Gunners down in the past six weeks. Wenger will now believe that he has a foundation from which he can oversee Arsenal’s resurgence. Of course, we have seen numerous false dawns at the club in his time but he believes he is the man to solve the problems. It does not seem that Wenger is fazed by the prospect of a difficult summer either. Alexis Sanchez and Mesut Ozil will be in the final year of their contract and they have been frequently linked with moves to other clubs. In fact, Sanchez is coveted by Arsenal’s domestic rivals and losing him to one of them would be a damning indictment of the club’s ambitions. If Wenger stays, his immediate challenge is likely to be keeping the squad together rather than improving it. But there’s a more important fight for which he should be prepared too. It will be interesting to see if Wenger’s renewal of a contract will be dependent on the restraints placed upon him. The 67-year-old has run Arsenal like a patriarch till now. His word is always the final word. But the chief executive Ivan Gazidis has been looking to reform the club in the areas of data analytics and sports science. Wenger remains averse to a reliance on number-crunchers and scientists, who may know little about the other aspects of the game. For now, thankfully, Arsenal has a human being who once caught his rivals out by introducing the latest methods for physical conditioning and training. After a season which tested the limits of Wenger’s patience and his genius, it is unlikely that he would want to cede control. This was demonstrated in his categorical dismissal of the club’s intention to appoint a director of football, who would work alongside him. Wenger hopes that the higher-ups at Arsenal will continue to believe in his plans and principles. The most successful manager in FA Cup history wants the club to resist the charms of a decision which will be popular, but not right in his view. Even when he does not approve of the actions and words of his detractors, Wenger acknowledges that they are growing in numbers. 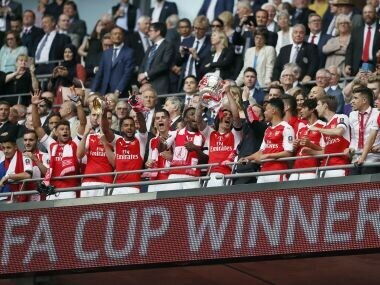 Just like one game should not decide the manager’s future, the FA Cup win is also unlikely to appease Wenger’s critics. He has a long way to go before he regains the trust of some of them. The win on Saturday was a beginning but it cannot obscure the struggles in the league. A place in the Europa League awaits, so does a summer which will determine how deeply the manager is valued. There might be more hurt and pain in store for Arsene Wenger.